BOISE, ID: The Boise Hawks have announced they will be hosting a food drive this holiday season, benefiting 7Cares Idaho Shares, hosted by KTVB. For every donation, fans will have the opportunity to spin the wheel for great Hawks prizes. "The demand to collect food for those who need the community's support is year-round." said Bob Flannery, Boise Hawks General Manager. "During the holiday season, being able to support a great cause by KTVB is something we are proud of." Non-perishable food donations can be made at the Hawks Front Office, located at Memorial Stadium (5600 N. Glenwood Street). Hawks Front Offices are open Monday through Friday from 9:00 AM to 5:00 PM. Donations can be made through December 7, 2018. 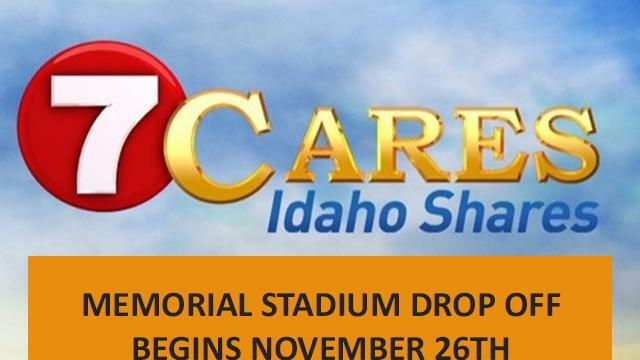 For more information on 7Cares Idaho Shares, visit KTVB.com.